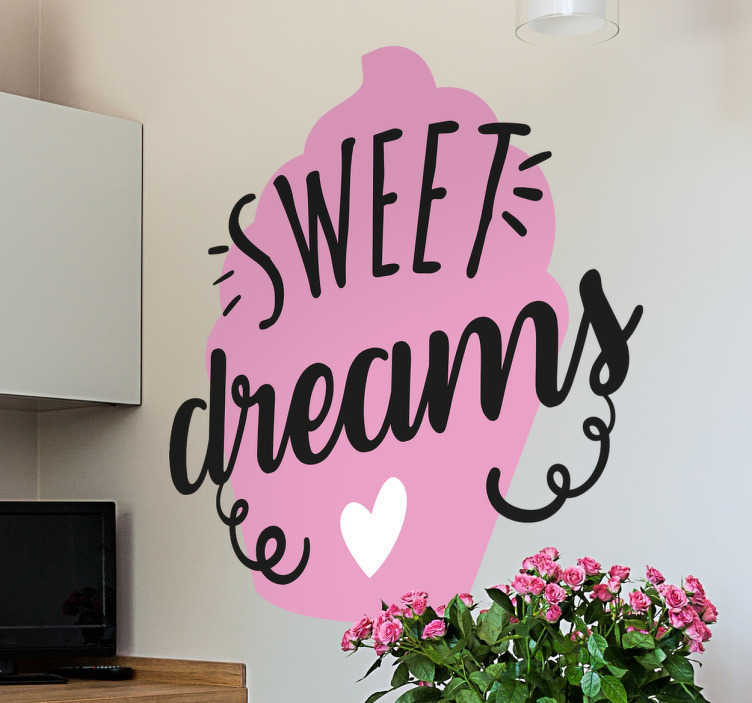 The cupcake decal reminds us that having cupcakes is like having sweet dreams! Can be used as a kitchen sticker or a dessert shop sticker. The pink design is eye catching and will immediately create a feel -good atmosphere. Our kitchen wall stickers are easy to apply and leave no residue on removal.